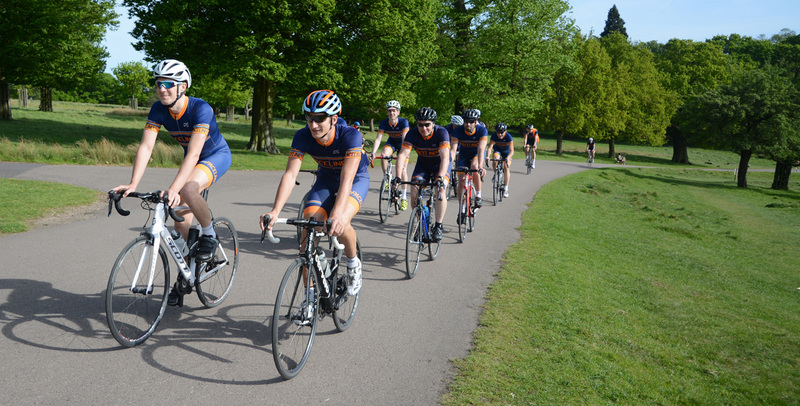 Paceline RT are a cycling club based in Kingston-Upon-Thames and the surrounding areas. We welcome experienced, safe, competent riders to join the club. The majority of our members have an interest (past or present) in cycle racing, mostly road racing and time trials, and the occasional cyclocross. The club run takes place on Sundays at 9am at Hampton Court station, and cover 40-80 miles typically. Details of the exact rides and routes are posted prior to weekend via the forum or our popular WhatsApp groups. Most of our members cycle, train and race together, so keep an eye on the forum for many other rides going out as we offer Saturday rides, and both midweek social and faster training rides throughout the year. We ask that prospective members drop us an email first, introduce themselves, and come out to some weekend/social rides before applying for membership. It’s important to us to attract members who align with our ethos of giving back to the sport and understand the commitment to volunteer. For that reason we are quite happy for prospective members to spend some time getting to know us before deciding to join for real. Once you’re sure you want to join, you can apply online via British Cycling. The cost of membership is £30 for one year (from the date you join), or £60 for 2 years. As races rely on volunteers, the club firmly believes that its members should have an obligation to put back into the cycling community that so many of us benefit from. Throughout the course of the year, members are expected to volunteer their services at two events promoted by Paceline-RT, such as races, time trials and hill climbs. Paceline-RT do not offer second claim membership. Follow us on Twitter for all the latest news and happenings. Keep an eye on the forum for other announcements.